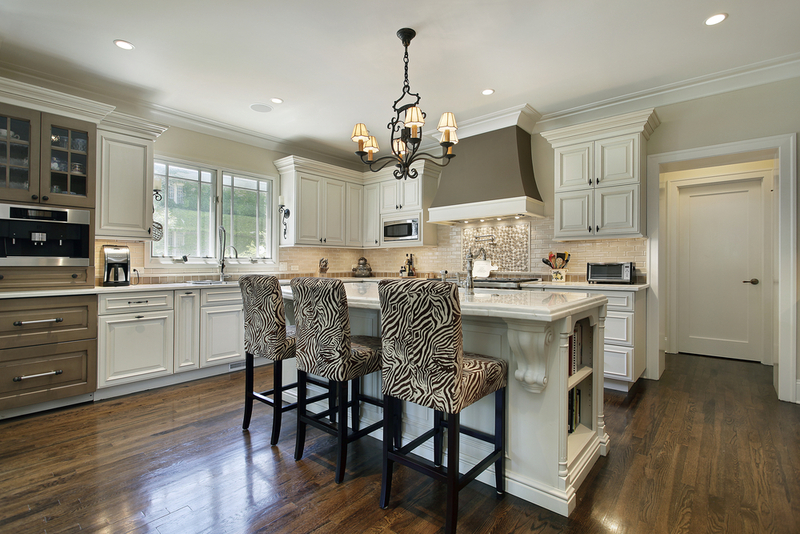 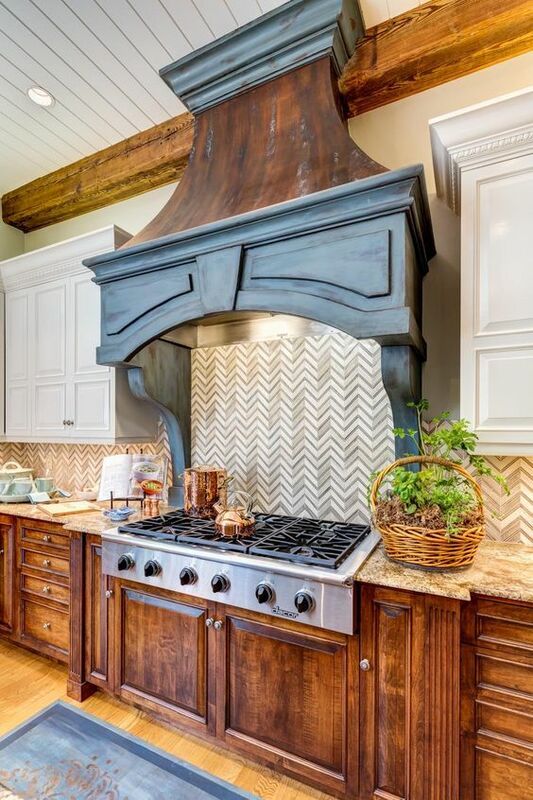 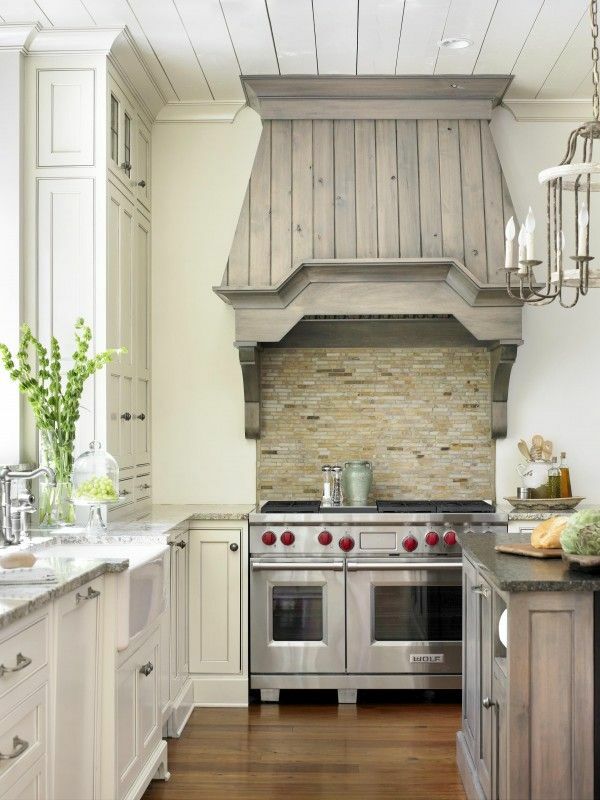 ﻿ Custom Decorative Kitchen Hoods | Foam Concepts, Inc.
At Foam Concepts, Inc., we have just what you need to create a sophisticated look to your kitchen environment. 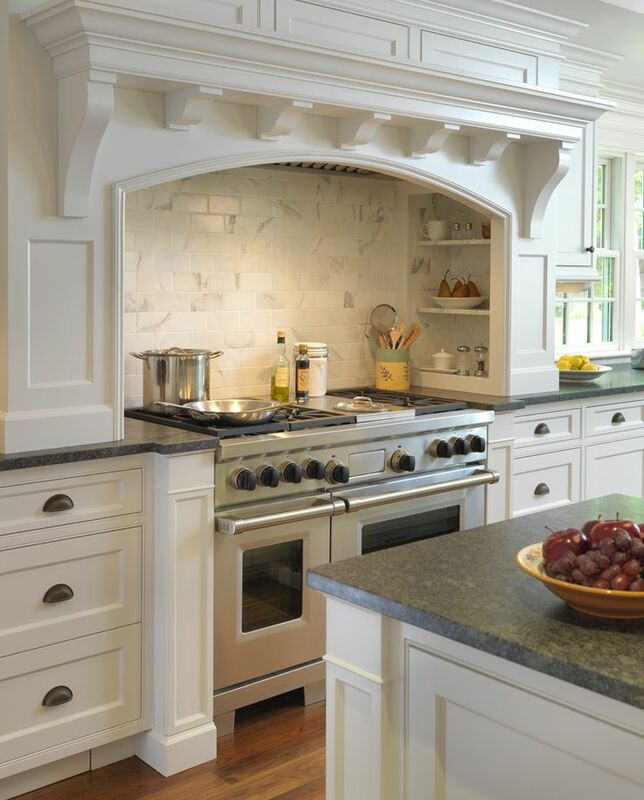 With a selection of “Pre-Cast” limestone range hood surrounds, the kitchen’s main focal point is transformed to one of elegance and beauty. 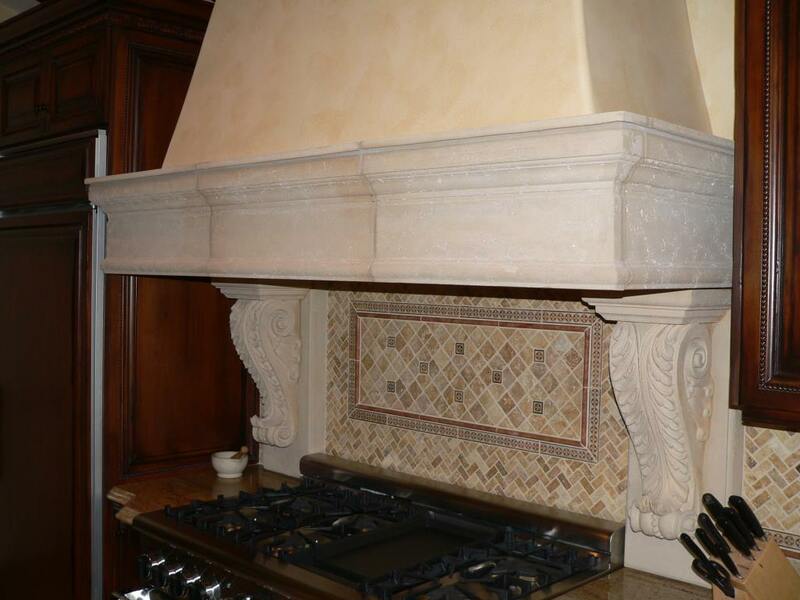 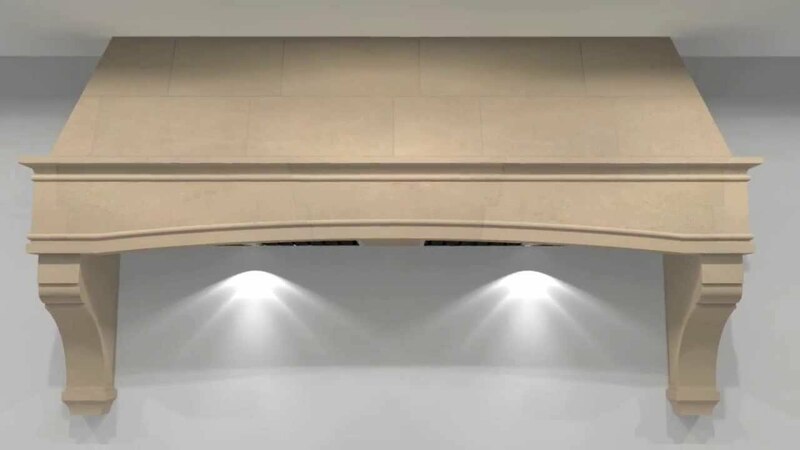 We cast our custom architectural kitchen hood treatments using a blend of natural limestone and minerals, special bonding agents and cement materials which has “no” combustible materials mixed in. 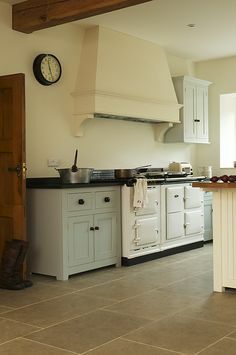 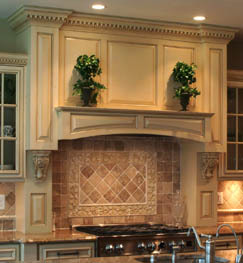 Kitchen Hoods also use a combination of foam core above and cast down low near combustible area. 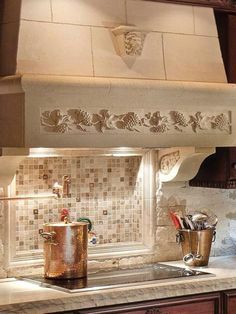 Our innovative designs with amazing natural quarried limestone appearance are available in a variety of colors and finishes. 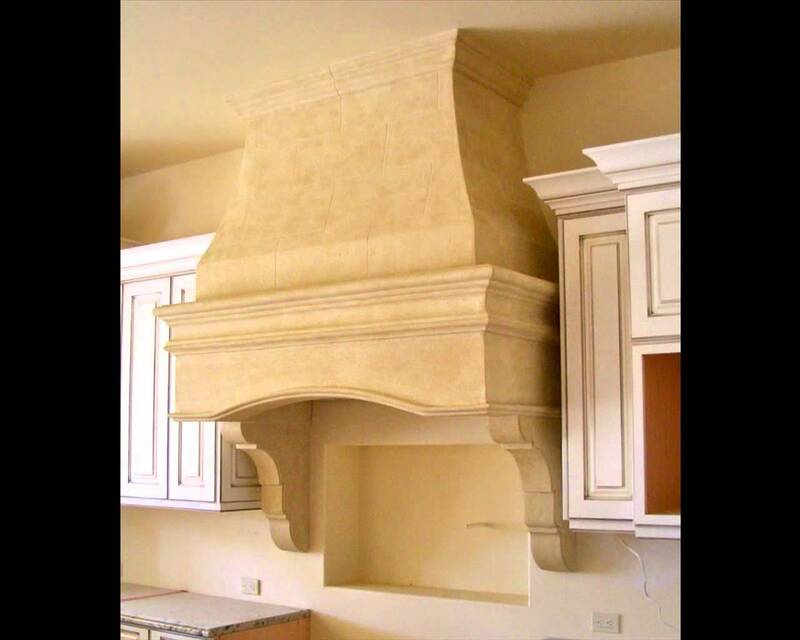 Please ask about our standard and custom designs.